Based on the “Refined Toughness” concept, every member of the design team was aware from the outset of the project of the desire to create a comfortable interior environment with a harmony between relaxation and tension. Achieving this began with a single design sketch rather than following the conventional path of selecting elements from many suggestions and narrowing them down to the final design. The aim was to create a simple yet refined, comfortable environment that eliminates all unnecessary elements and that also conveys a sense of exhilaration. The design team focused on the one initial sketch, and nobody wavered from the original intention. While the characteristics detailed in the original design sketch went on to become the highlights of the new CX-5 interior, the path toward arriving at this result did present some bumps along the way. The team aimed to refine each detail of the interior from the perspective of the cabin environment as a whole. For example, positioning the air-conditioning louvers slightly higher or lower would disrupt the horizontal alignment and weaken the confluence of the louvers and the adjacent decorative panel and door trim. To express the pleasing sense of breadth in the sketch, the relationship between every part was scrutinized in millimeter increments. Iwahara and the rest of the team attached parts to a full-size clay model of the interior to check the placement to create the ideal cabin environment. They repeatedly built up the height of the instrument panel then shaved it back down, changing the shape of the parts and making slight adjustments to the way they lined up and fit together. The numerous leftover prototypes are a testament to the length of the process. The team created more than 50 prototypes before arriving at the image they had envisioned for the air-conditioning louvers. Persevering throughout the process made it possible to create the environment in the original design sketch, which provides both comfort and a pleasing sense of exhilaration to everyone in the car. The decorative panel on the instrument panel also plays an important role in achieving a rich, elegant look with its simple design that conveys the Japanese attention to fine detail. This required not a mere expression of luxury but a new tastefulness. The team came up with an entirely new decorative film that conveys both the warmth of wood and the strength of metal. The process involved numerous trips to the manufacturer’s facilities and a trial-and-error process to test various tones and the order in which the colors should be applied. The final product uses a 12-layer printed coating for depth. Even after deciding on the technique to be used, more than 20 sample films were produced. As with the air-conditioning louvers, development of the film took more than a year to reach the final stage. The seat design is one more example of uncompromising commitment to achieving the desired goal. The team created “a quality material featuring a soft touch and deep, voluminous texture” befitting the “Refined Toughness” theme, Matsuoka said. While it is normally difficult to achieve a good tactile feel when using fine thread with a soft touch, the team came up with a method that makes use of a thicker thread behind the finer one to create a three-dimensional texture. The shoulder section is another example. Wrapping the fabric all the way around the sides emphasizes a look of strength and heightens the expression of voluminous texture. A form brimming with a sense of strength and the quality feel of an incredibly smooth touch provides everyone in the car with a delightful surprise. The design team focused on so many details that there is no way to describe them all. But the results speak for themselves. All one needs to do is sit in the cabin to understand how the interior embodies the “Refined Toughness” theme. But that’s not all. As both Iwahara and Matsuoka said, the design for the new CX-5 is not only the result of their team’s efforts. Rather, it is the culmination of an ambition shared by all involved, from the design team to the production teams and including the suppliers. This could only be achieved through a spirit of collaboration as all parties explored the possibilities and gave it their best effort. 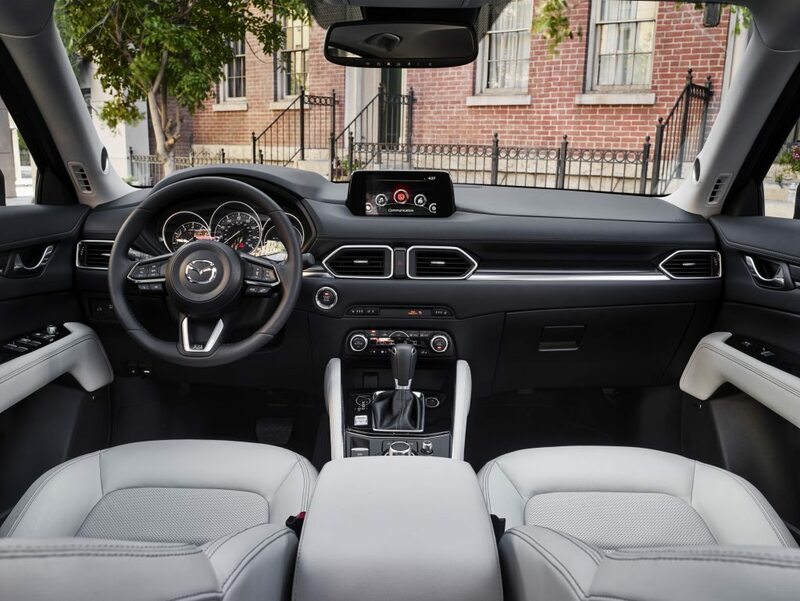 The unwavering commitment of every development team member is apparent throughout the new CX-5 interior as is their desire to please more people around the world. Is the best instrument for creating an emotional design, human?